Google has launched Pixel 2 and Pixel 2 XL smartphones. 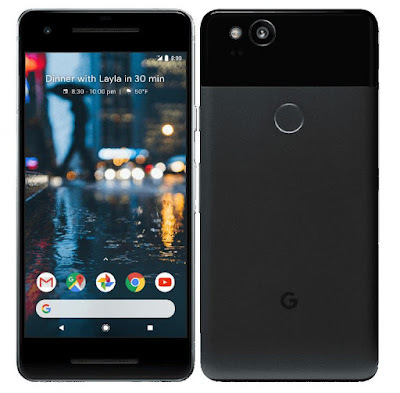 Google Pixel 2 feature a 5-inch 1080p AMOLED display powered by an Octa-Core Snapdragon 835 processor coupled with 4GB of RAM. It comes with 64GB and 128GB of internal Storage.The device runs on the latest Android 8.0 (Oreo). It has a 12.2-megapixel rear camera with LED flash, Optical Image Stabilization (OIS), Dual Pixel and an 8-megapixel front-facing camera.It lets you take portrait shots with background blurs, from both the front and back camera and has new motion photos feature that captures a few seconds of video around the shot. It comes with unlimited full resolution photos and videos.